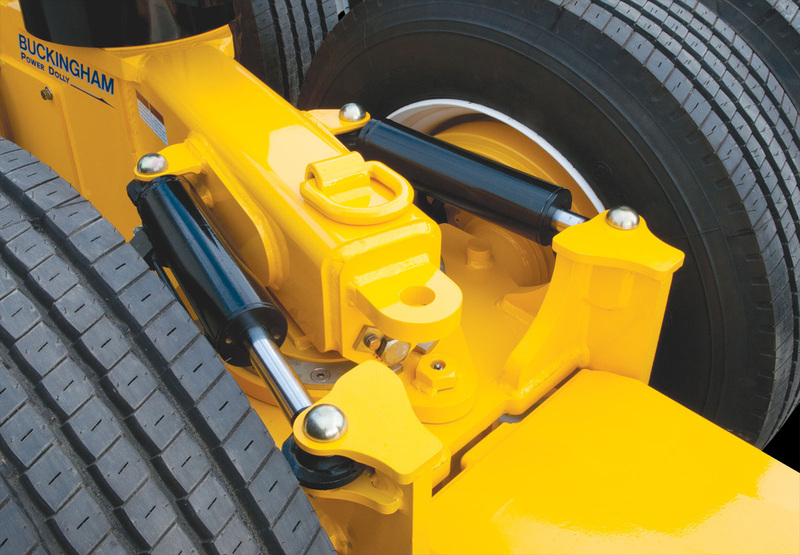 Buckingham Power and Coaster Dollies feature a heavy-duty frame, a gooseneck front end and a heavy-duty three-position tongue designed for external towing when necessary. 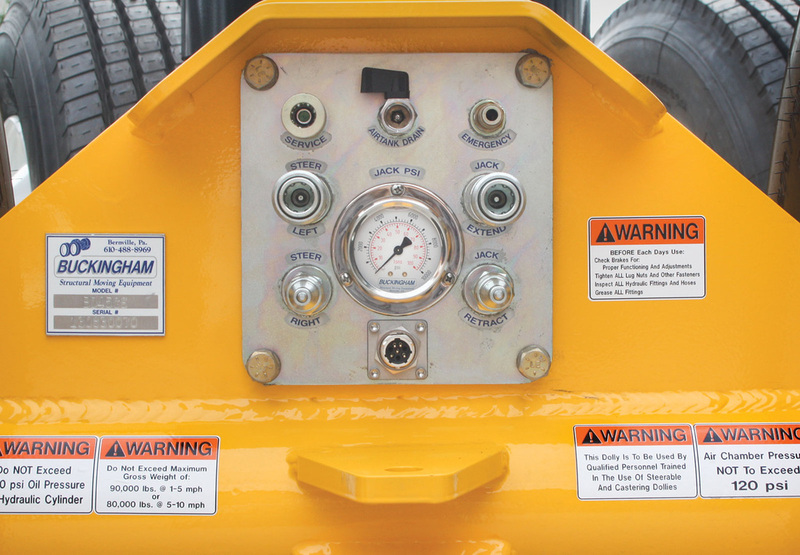 Rated at 45 Ton (4600 PSI) with a 5" bore, 16" lifting cylinder and the option of a 7" bore, 16" lifting cylinder. 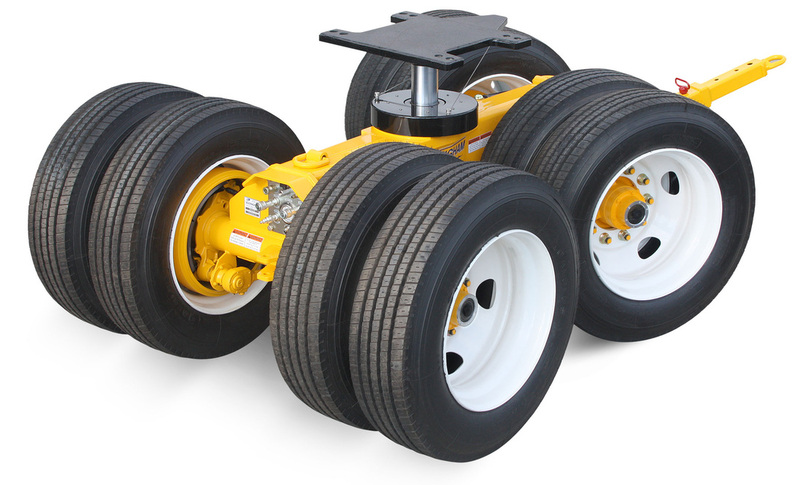 Our Power Dollies feature Poclain drive hubs, positraction, caster steering and optional hydraulic steering for the most advanced dollies on the structural moving market. Whether Power or Coaster, our dollies are designed for hard work and stress-free moving with well-marked handles and gauges for ease of use and handling. They are upgradable with Hydraulic Power Steering, heavy-duty pull tongue, and more. 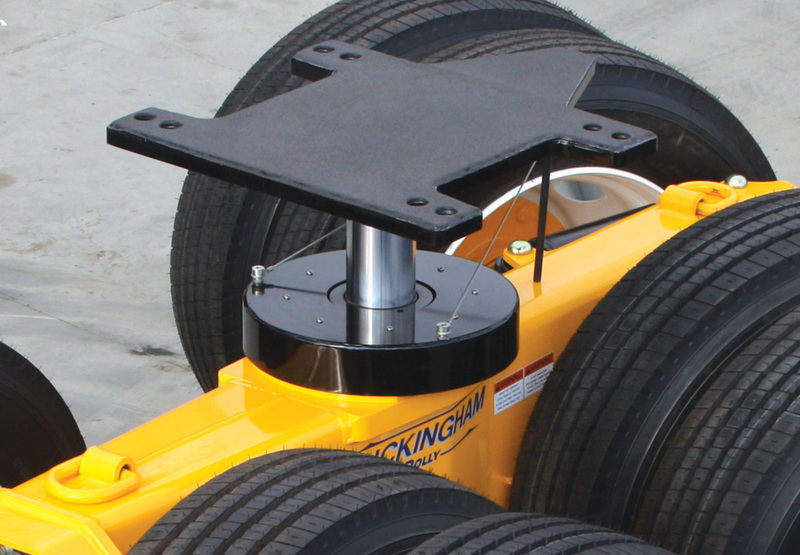 When operated with a Buckingham Hydraulic Power Unit, our Dollies are fully compatible with the SmartSteer™ System for automatic, computer-controlled turns based on each Dolly's position. 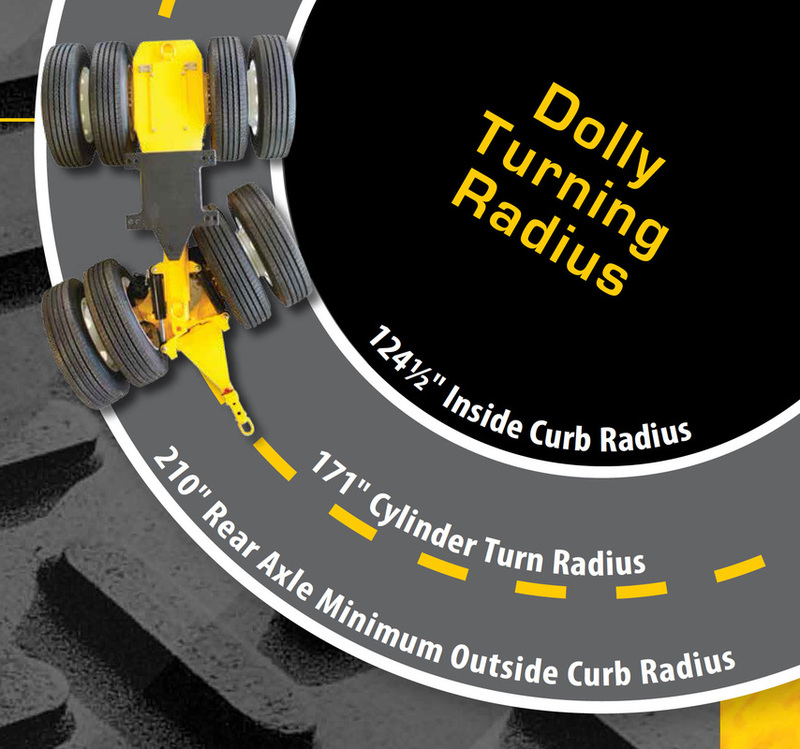 In addition, a Radio Remote Control System operates all Dolly functions and has a 1000' working range to control proportional jacking, steering and braking, in addition to complete drive capability with forward, reverse and cruise control. 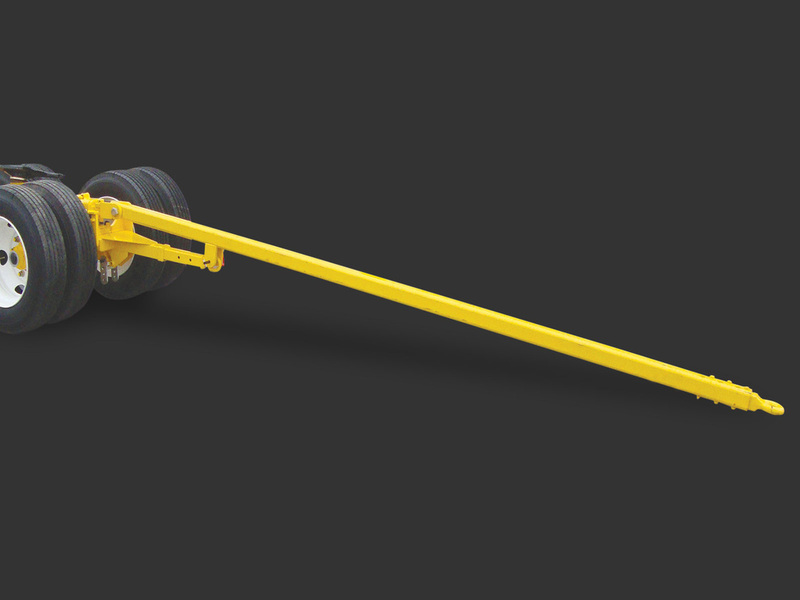 The Buckingham Power Dollies feature a heavy-duty frame with a 45-ton load rating at 4600 PSI, a gooseneck front end and a heavy-duty tongue designed for external towing when necessary. 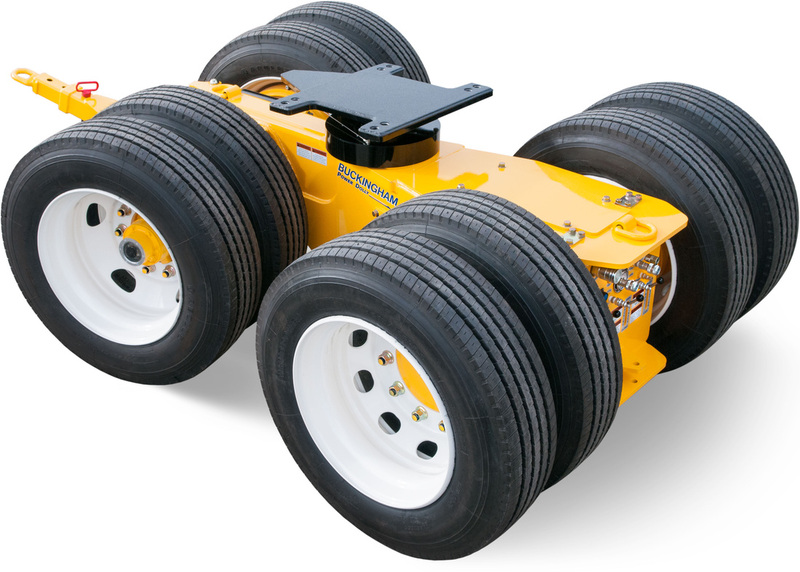 The latest Poclain drive hubs, positraction, caster steering or SmartSteer compatible hydraulic power steering combine to make these Dollies the most advanced in the structural moving industry today. Designed for hard work and stress-free moving with well-marked handles, gauges and lift rings for ease of handling on the job. The Buckingham Coaster Dollies are what you want on hand when you have enough drive force and need a strong back to help carry the heavy load. 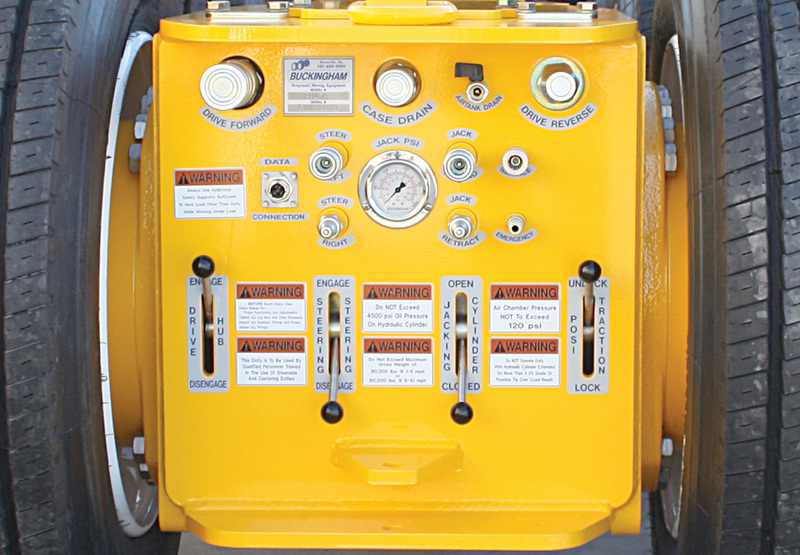 These dollies are manufactured to work smoothly and dependably, saving money by reducing downtime and costly repairs. 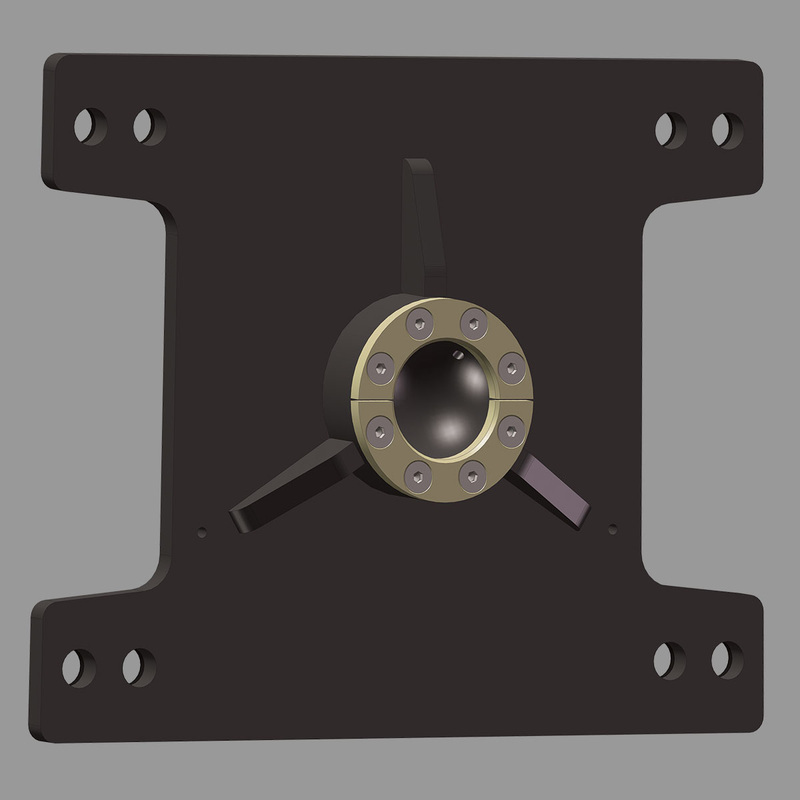 The Coaster Dolly is also available as a low-profile version with a 4" reduction in overall height. 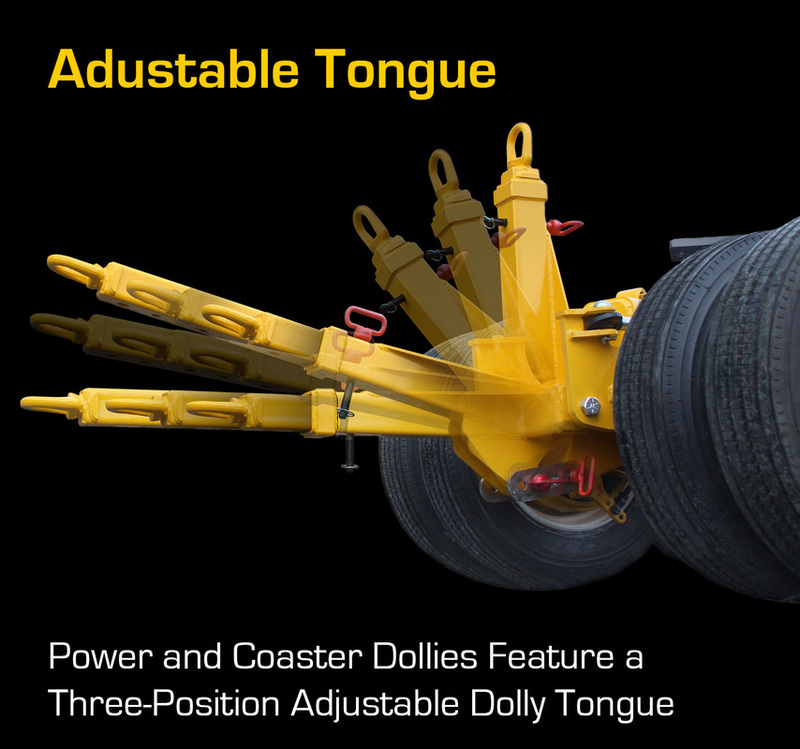 Dollies are well equipped with features like regular or caster steering, air brakes and an adjustable tongue. They are upgradeable with Power Steering and more. 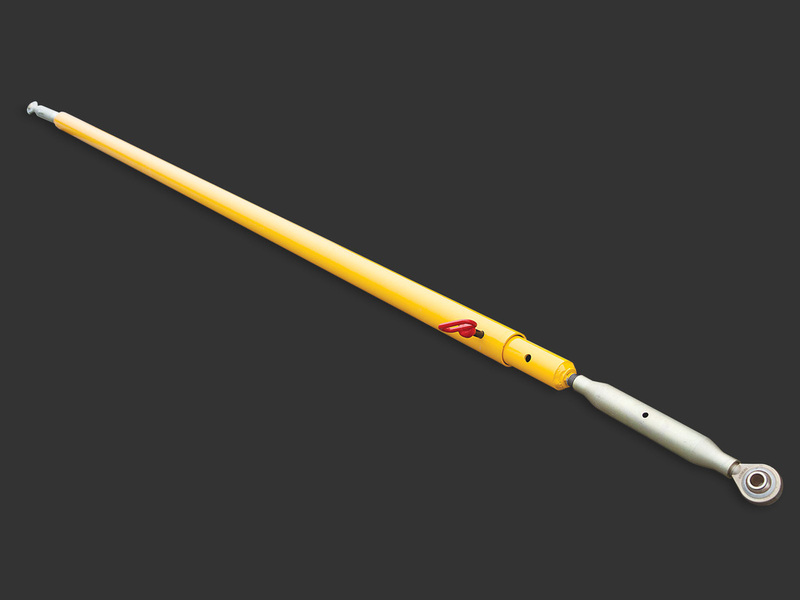 Dolly Options include Power Steering Cylinders and Custom Paint Colors. 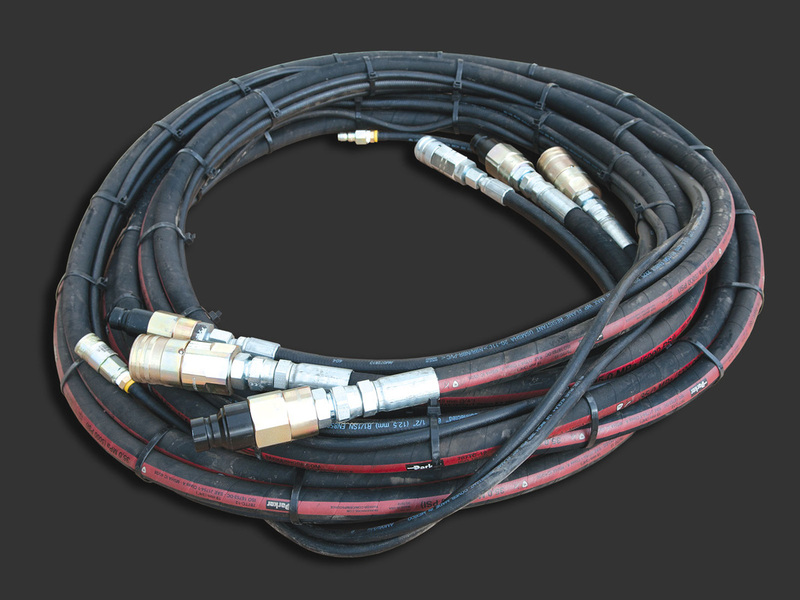 Our Driver Hose Bundles are 25' or 50' Long, 5000 psi, 3/4" featuring forward, reverse, case drain and two air hoses. 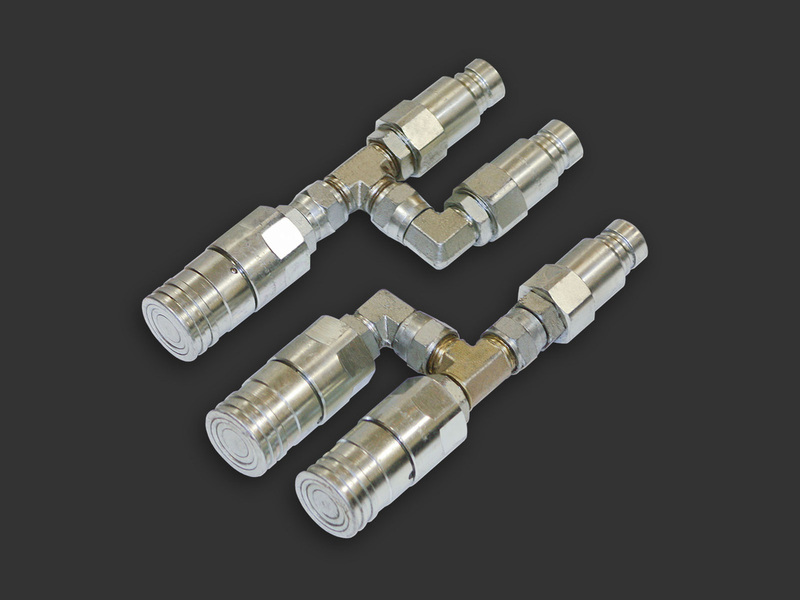 We also have High-Flex Driver Hose Bundles which are lighter weight and flexible. 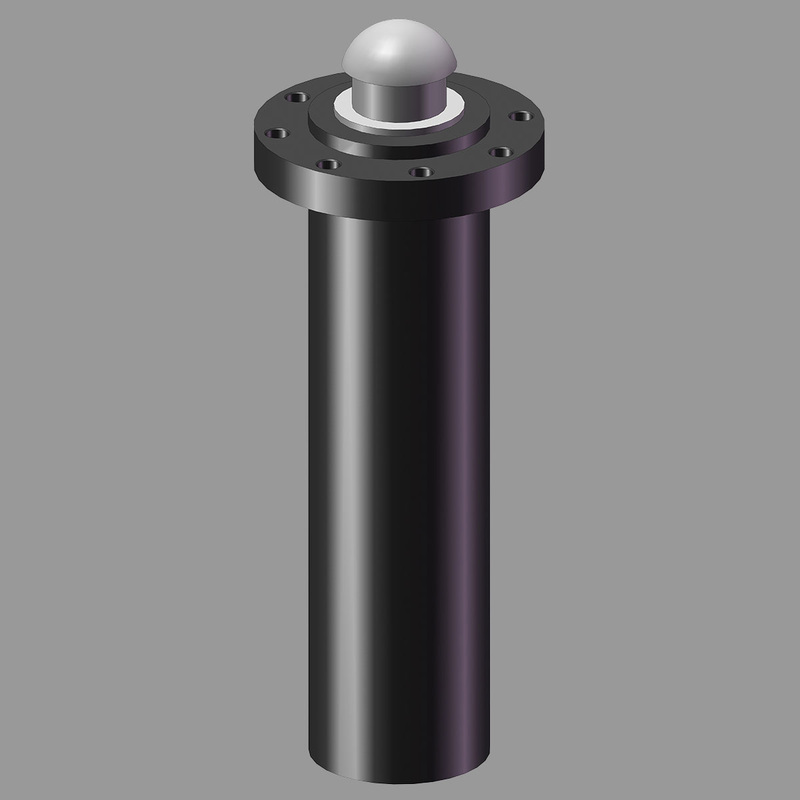 Maintain equal spacing between two dollies with this Evener, featuring telescoping tubes with pins and threaded socket ends for easy adustment. 190 lbs. 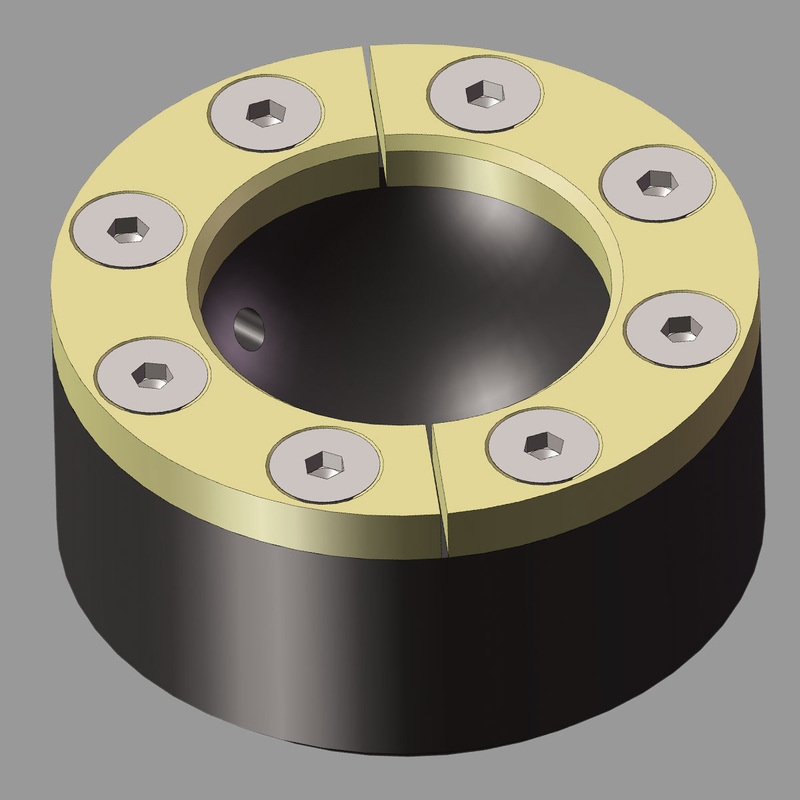 Heavy-duty pull tongue pulls directly off of the main Dolly Frame. 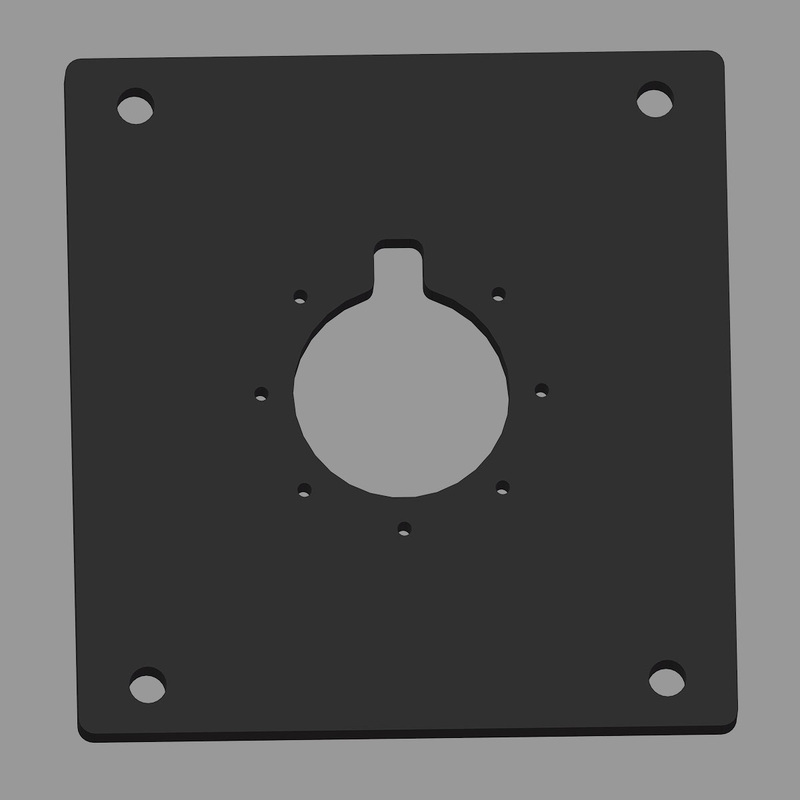 Available in 12', 16' or custom lengths. 350 lbs. 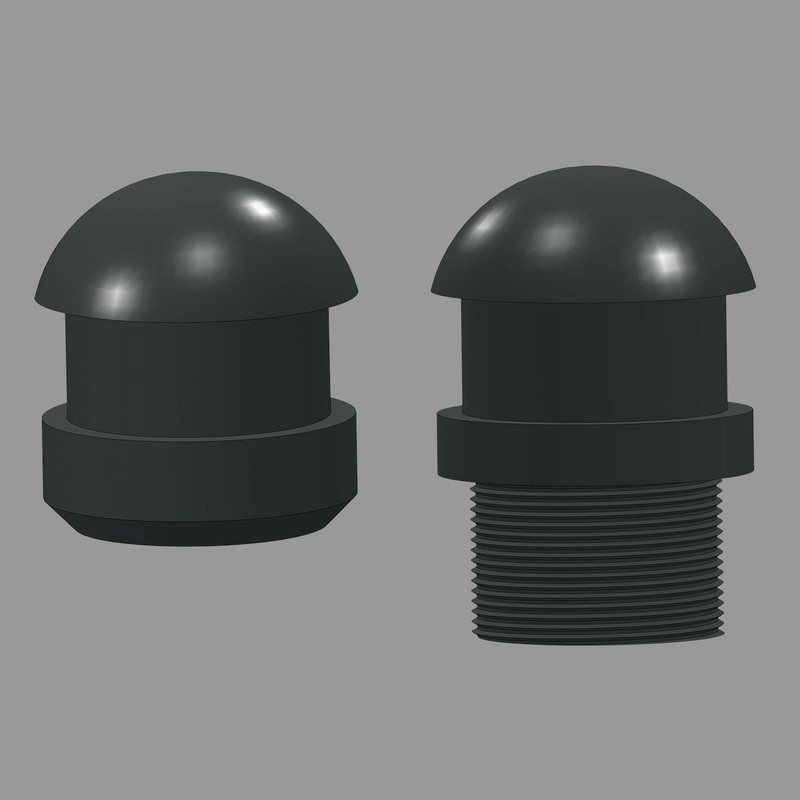 Driver Hose Tees allow you to tee off and add additional connections.